Call me blessed (or spoiled) by beer for 2017. 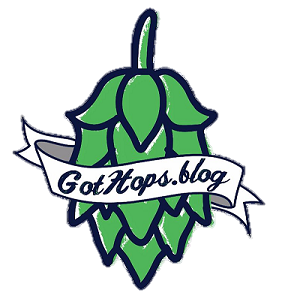 The towns of Sturbridge, Charlton, and Southbridge will offer not one, not two, but five different stops for you to taste hop infused madness. Why does this matter? I live in the middle of all of them…a few being within a 5 or 10 minute commute. Let’s take a quick look at what I’m referring too….shall we! In addition, there are a few breweries that fall outside a 20 minute drive from where I reside. Starting with Stone Cow Brewery in Barre MA, Kretschmann Brewery & Beer Garden in Webster MA, and The Spencer Brewery in Spencer, MA. The latter is beer made by monks and the town I grew up in for the first 25 years of my life. Spencer Brewery makes several awesome concoctions but the brewery is only open once or twice a year to the public. Last but definitely not least are my good friends Shawn Rich and Chip Jarry from Bay State Brewing Co., both who reside locally, have a great assortment of frothy goodness but their product is contract brewed in Western MA. In a conversation with Chip, he mentioned he would like to create a small taproom in the area but that plan has yet to unfold. Just an aside to all of above, located on Rt. 20 in Sturbridge MA, within throwing distance to most of the brewery establishments listed here, is one of the most coveted barbecue places in New England; BT’s Smokehouse! I will confirm, having been there many times, their food is just awesome!!! If you find yourself in the area, stop in at BT’s and reward yourself with some of the best pulled pork you will ever taste, and it is BYOBeer, which makes the visit even that much better. Guaranteed you will be back for another visit soon. So it looks like my 2017 will be filled with many stops to get my beer geek face on. I will do my best to reach out to the people and places I visit to witness their love for making beer. I promise to share the journey right here…and I hope you enjoy them. Have something you want to share or add to this post? Please do by adding a comment below.